What kind of injury have you sustained? Are you dealing with an old recurring injury, or are you feeling the pain of one in which you recently sustained? No matter the pain or injury in which you are dealing, the physical therapists in Pequot Lakes at DMR Clinic are here to help you recover quickly and efficiently. We specialize in not just physical therapy, but sports rehab as well. Our clinic is the perfect option for you if you’re suffering from an injury, illness or disability because we don’t just examine your injury, we will diagnose you and provide you with a personalized treatment plan for your condition and/or pain. With our specialized clinic, you can rest assured that each and every treatment plan will help individuals who experience pain, medical issues, lack of mobility and more. Whatever is causing your pain – illness, injury or disability – consider our team of physical therapists as your premier choice to restore your function, enhance your mobility and decrease your pain. Are you noticing stiffness in your muscles or joints, suffering from chronic wear and tear on your joints, struggling with healing from an accident or recovering from surgery? If so, DMR Clinic’s physical therapists in Pequot Lakes may be your best bet to wellness. At DMR Clinic in Pequot Lakes, we’re confident we can provide you with an holistic approach to healing. Not only do we offer physical therapy, we offer a customized plan to each and every patient that is tailored to their well-being. This plan may include physical therapy, chiropractic care and massage. We want you to live life as happy and healthy as you can, and with our holistic approach, we know it’s possible for you too. 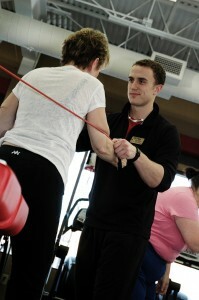 Join our physical therapists in Pequot Lakes today and take a step towards a better life. Schedule an appointment now!